Together we will sip a cocktail whilst overlooking the gardens in the New-Georgian conservatory of Omnia Bar. We will sink into a comfy armchair with a glass of fine wine or stop in during the day for a pastry and an aromatic coffee. Omnia Bar is open 24-hours a day, too! At Hilton St. Anne’s Manor, Bracknell we will enjoy garden views and bright daylight in this restaurant. 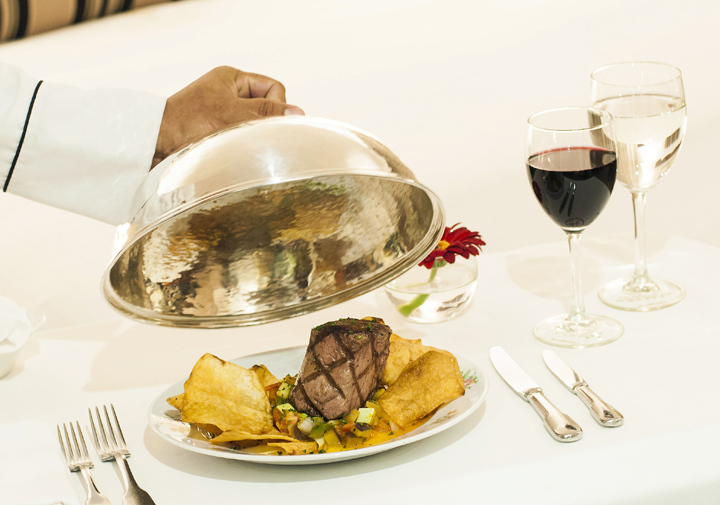 We will feast on classic British cuisine like Trio of Lamb of Fillet of Sea Bass prepared by an award-winning chef. 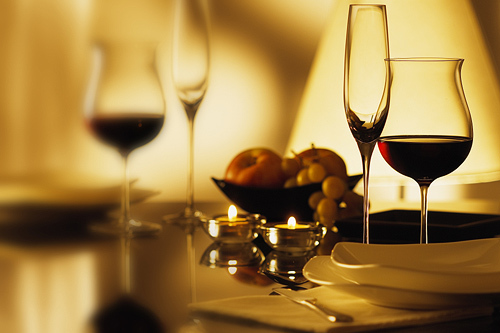 We will enjoy the traditional atmosphere, soft lighting and intimate booths, perfect for a romantic dinner. Set in a beautiful country house in 25 acres of grounds in Wokingham, England, Hilton St. Anne’s Manor, Bracknell promises us a stunning honeymoon destination. This charming Bracknell hotel boasts garden views and classic British cuisine at Omnia Restaurant. We will enjoy a round of our favorite drinks at the bar or savor a bottle of wine or champagne in our room or suite with room service. 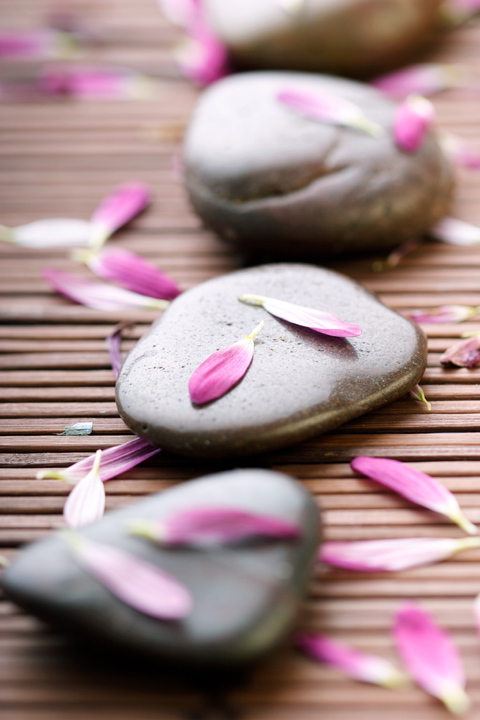 In the tranquil settings of The Escape Spa, we will discover pure relaxation with a range of spa treatments. With your wonderful wedding gift, we will create delightful honeymoon memories with this extra resort credit! Hilton St. Anne’s Manor, Bracknell is set in a beautiful country house in 25 acres of grounds and is located in Wokingham, England. Only 30 minutes from Heathrow Airport and conveniently close to some of the area’s greatest attractions, we will have the opportunity to visit LEGOLAND® Windsor and Windsor Castle, The Madjeski Stadium and the Oracle Shopping Center. Tastefully decorated in rich warm tones and featuring traditional furnishings, we will feel right at home in charming accommodations. We will plunge into the indoor swimming pool, relax in the whirlpool, workout in the gym or drift away into a state of peace and calm at The Escape Spa. We will enjoy garden views and classic British cuisine or savor a trio of lamb or a fillet of sea bass in the elegant Omnia Restaurant. Hilton St. Anne’s Manor, Bracknell will enhance our honeymoon with impressive amenities and charming hospitality! A bottle of our favorite wine will be delivered to our charming room. We will make a toast to our honeymoon while taking in the enchanted views of Wokingham. We will discover romance at its best! A chilled bottle of champagne will be delivered to our room. We will make a toast to our romantic honeymoon in Wokingham while taking in the sweeping views of the country’s surroundings from our room. How romantic! On my honeymoon at Hilton St. Anne’s Manor, Bracknell, I will be pampered in the beauty salon. Their skilled professionals will spoil me with a haircut and styling, an application of makeup, or a manicure or pedicure that will enhance my beauty. At Hilton St. Anne’s Manor, Bracknell, I will take delight in The Escape Taster Facial on my honeymoon. In the tranquil settings of The Escape Spa, this introductory facial will provide me with a quick and instant pick me up for my honeymoon. The Escape Quenched and Drenched Facial is a lovely wedding gift for my honeymoon. This facial is for dry skin in need of a moisture boost. 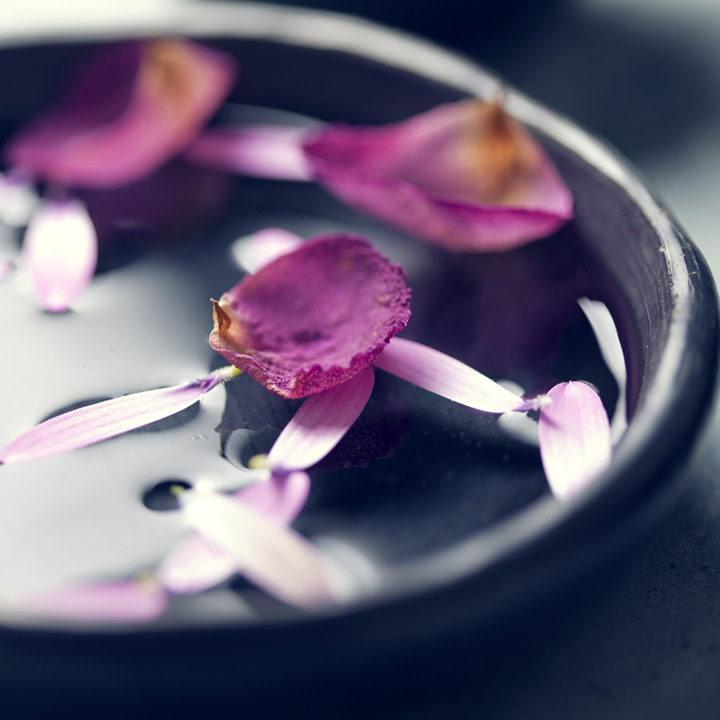 This thirst-quenching facial uses a combination of massage techniques and essential oils of evening primrose and rosehip to create the perfect treatment for dry, dehydrated skin. I will be pampered with The Escape Purifying Facial, thanks to your generous wedding gift. This facial will help heal and repair congested skin. Essential oils of lemon and geranium will soothe and calm my irritated and unhappy complexion, leaving me feeling rejuvenated! With your lovely wedding gift, I will indulge in The Escape Lift and Firm Facial. 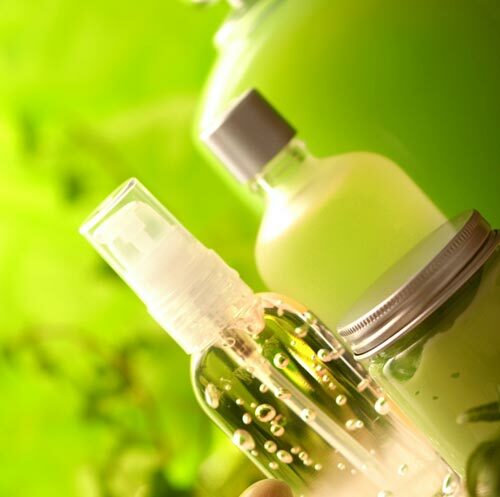 In the serenity of The Escape Spa, I will receive a relaxing facial aimed at mature skin types. I will enjoy a pressure point and lymphatic drainage massage that will help combat the effects of premature ageing. My honeymoon at the charming Hilton St. Anne’s Manor, Bracknell promises me a delightful spa experience. The Swedish Back, Neck and Shoulder Massage is tailor made to help relieve tired aching muscles of the back, neck and shoulders. In the enchanted settings of The Escape Spa, I will take delight in the Swedish Full Body Massage on my honeymoon. I will experience the benefits of this massage with a complete face, scalp and body massage using essential oils. The Hot Stone Back, Neck and Shoulder Massage is a wonderful wedding gift for my honeymoon. Hot volcanic basalt stones will be used with soothing massage techniques to ease muscle tension. I will be left in a peaceful state of mind! Hilton St. Anne’s Manor, Bracknell promises me an indulgent spa experience with the Hot Stone Full Body Massage. In the serenity of The Escape Spa, basalt stones will be placed on key energy points on my body and used to massage away everyday aches and pains. This will leave me in a state of total luxurious spa bliss! On my honeymoon I will be pampered with the luxurious Fire and Ice Stone Massage at Hilton St. Anne’s Manor, Bracknell. In the tranquil settings of the spa, hot and cold stones will be used to boost blood circulation and warm fatigues muscles. 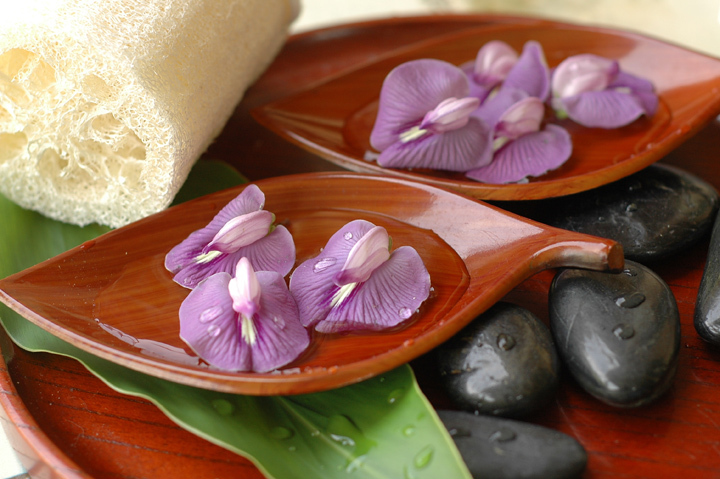 This sensational body treatment will calm my mind, body and spirit! I will receive The Escape Back, Face and Scalp Treatment on my romantic honeymoon. This popular treatment will start with a de-stressing back massage, followed by a tailor-made facial and finished with an oriental head massage. I will experience sheer indulgence! 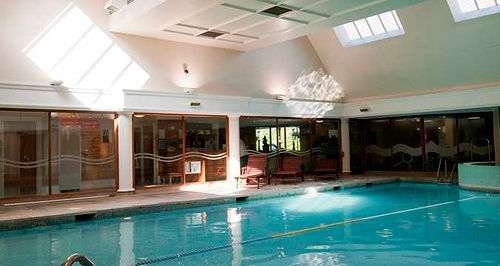 With your generous wedding gift, I will take delight in The Escape Energizer in the tranquility of The Escape Spa at Hilton St. Anne’s Manor, Bracknell. This exceptional body exfoliation combines sea salts with essential oils of lemongrass and frankincense, a compact treatment with dramatic results. The Escape Body Quench is a truly luxurious body wrap. My treatment will start with a salt and oil exfoliation to smooth the skin, followed by an envelopment of creams rich in bergamot, geranium and rosewood. Ultimate tranquility will be achieved with an oriental head massage. My honeymoon will be enhanced with The Escape Detox Treatment. This treatment works at the deepest level to help smooth the appearance of cellulite, boost blood circulation and reduce fluid retention, leaving my skin firmer and smoother to the touch! In the serenity of the spa, I will take delight in The Escape Manicure on my honeymoon. This luxurious manicure includes an exfoliation, a relaxing arm and hand massage and hot mitts, nail filing and maintenance and an application of my favorite nail polish. With your wonderful wedding gift, I will be pampered with The Escape Pedicure on my honeymoon This luxurious pedicure includes an exfoliation, a leg and foot massage and hot boots, nail filing and maintenance and an application of my favorite nail polish. The Express Manicure is a lovely wedding gift for my honeymoon at Hilton St. Anne’s Manor, Bracknell. I will sit back, relax and receive this maintenance treatment manicure to keep my nails looking great! 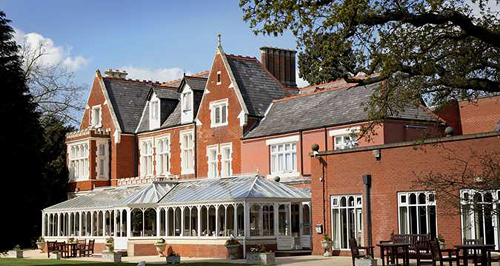 We will celebrate the greatest day of our lives at Hilton St. Anne’s Manor, Bracknell in Wokingham, England. With your generous wedding gift, we will experience the wedding ceremony of our dreams while our family and friends gather to witness our beloved day. Our on-site wedding coordinator will take care of every single detail for our big day from our ceremony to the reception and all guest arrangements. 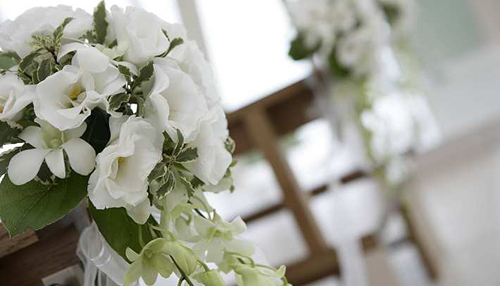 Whether we are planning an elegant event or an intimate wedding, Hilton St. Anne’s Manor, Bracknell will ensure that our day is pure perfection!